AAA is much stronger than AA as last year's AA Champ Trinity Christian Dublin has moved up in class this season and at the Region 2-AAA meet held on their home course almost perfect scored with 17 points and a team average of 18:40. It sure helps when Ga's top runner from Foot Locker South 2013 is leading the way as Kaleb McLeod has experience at Darton posting a 15:39 pr there this season and is undefeated against GISA competition.. Little bro Jacob McLeod has improved this Fall with a pr also at Darton of 16:45. Augusta Prep also easily won their Region 2-AAA meet held at their home course and looks to be chasing TCD this Saturday. Senior John Earwood is their top runner having a pr of 17:08 at Highlander. In 2013 Earwood placed 3rd at State on the LCA course. Mill Springs could contend fora top 4 slot led by Devin Hazzard (17:02) Sam Lynch (17:51) and they got the better of Trinity Christian Sharpsburg at the Weber School Invitational. I was surprised to look in the database and find 35 GISA schools had Boyz team scores in the Independent Schools Team Rankings. 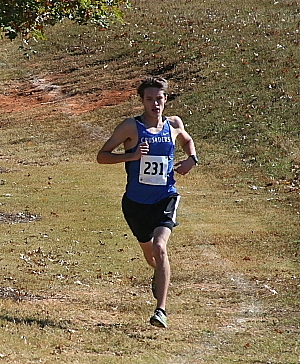 Trinity Christian Sharpsburg won Region 1-AAA at LCA and is ranked 5th in GISA rankings database with a 19:19 average. Hans Troyer (18:32) and Drew Taylor (18:48) are their top runners. Brookwood (my former big rival in HS) and Deerfield Windsor have outside shots to make the top 3. Will Carico is Brookwood's top runner. Evan Downs of Westminster Schools of Augusta is another top individual. AA is a tough nut to crack open as not many of those schools competed in meets that turned in results. The most telling data comes from 2 regions that did submit data including Regions 4-AA held in Athens and Region 1-AA held in Alpharetta. Frederica placed 2nd behind TCD in 2013 and is ranked 9th overall in GISA in the Independent school 'Team Rankings' database. 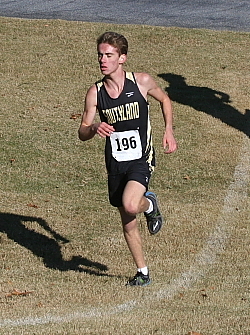 Jacob Burgamy from Brentwood is the favorite to take the Overall titke having a pr of 15:59 at Darton. Brentwood also easily won Region 4-AA with Monsignor Donovan 2nd. .